For this week, we got a handful of people on to talk about the latest Digimon series. Dustin was absent from this episode (and this was recorded the night before our Star Wars review), but Jonn and returning guests Daft, Josh and Cloud spent their evening on the show to talk about Digimon Adventure Tri. There is no need to bother with time codes in this episode, since it seems to be less about Digimon and more about the hosts ranting on every other nerdy fandom out there. If you want to experience total levels of nerdom from something out of Evan Dorkin’s The Eltingville Club “comic book realm of geekdom,” then this is your sanctum. Aside from discussing Digimon, the gang go into their abyss of opinions about the fall of 4Kids, comic book series and movies, people in the anime industry that would be in our old AIM chat rooms years ago (and how they were treated by some), Nickalodeon vs Cartoon Network scheduling wars, anime companies, people on the internet we know, Precure talk and so much more. There might be some audio issues certain sentences cutting out, and that is due to some glitches on audacity part, oh well. Originally this skype call went on for like 6 hours, but Jonn recorded up to 3 and I will use that later part on another recording down the road, so we’ll see. This entry was posted on 01/25/2016 by zeonicfreak. It was filed under Anime, Movies, News, Other, Reviews and was tagged with 4Kids, Adventure, DC, Digimon, Jeff Nimoy, Marvel, Peter Fay, Tri. 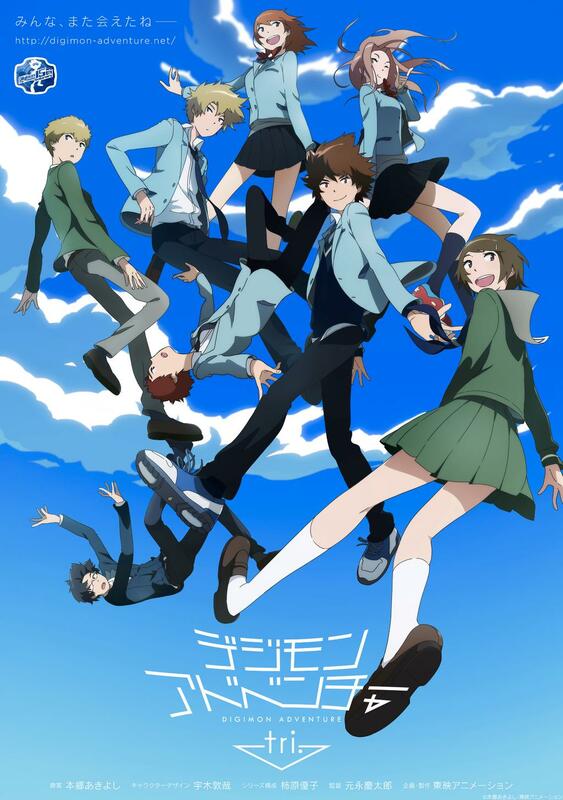 I enjoyed what little of Digimon Tri I’ve seen so far. I need to go back and watch the whole thing. Gotta commend anybody who likes The Eltingville Club. I got that hardcover collection Dark Horse put out a few months ago. Evan Dorkin 4 life! I got the hardback in my backpack that I need to finish reading some small stories in it, but I am proud to own that. Now I still have giant collection of Dork! comics iv’e collected over the years for the sole purpose of reading Eltingville Club stories that I guess I can still hold on to? I liked the fact that the The Eltingville Club hardcover collection included extra content from what I was expecting. I’ve also got some issues of Dork as well. It probably won’t be long until all that other material Evan Dorkin did gets collected someday. Dark Horse even collected his Bill & Ted’s Excellent Adventure comics recently.